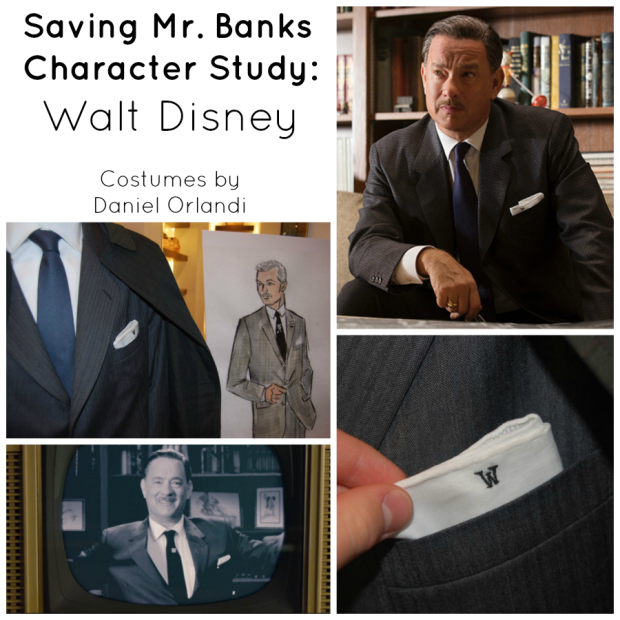 Daniel Orlandi was the costume designer for the recent film Saving Mr. Banks. We were lucky enough to catch up with him at an event featuring his costumes. After our most recent Disneyland vacation, we headed to Palm Springs to play some golf, have fun in the pool, and catch up on tennis. It just so happened that Disney and Burberry were partnering on a weekend-long event at their Palm Desert store featuring the fashions of Saving Mr. Banks. 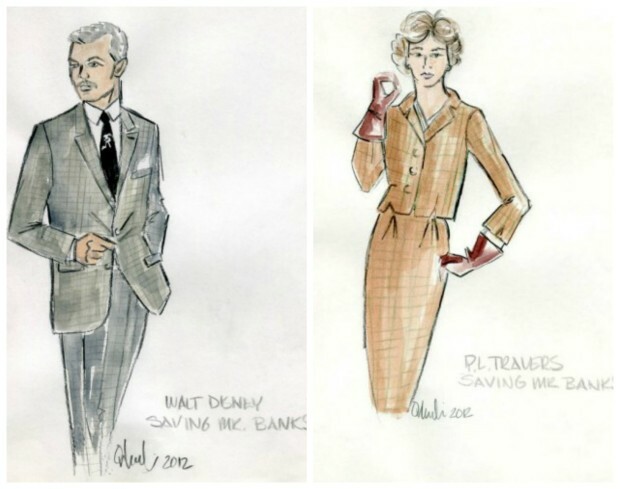 The event displayed three different costumes as well as many different costume sketches all signed by Daniel Orlandi, the costume designer of Saving Mr. Banks. 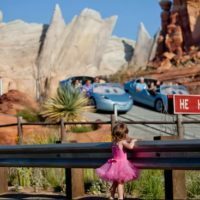 We were shocked when we heard that the three costumes and sketches are insured for $3 Million–anything with the Disney name on it shoots up in value. It’s true with original set pieces and currently sold items. Below I put together some character studies of the characters that were featured in the Saving Mr. Banks exhibit at Burberry in Palm Desert. Travers Goff, P.L. Travers, and Walt Disney are all featured below. Travers Goff is the father of P.L. Travers. He tried to do what was best for his children–he cared about P.L. Travers very much. Sadly, Travers Goff was an alcoholic. This stopped him from being able to truly connect with his daughters. 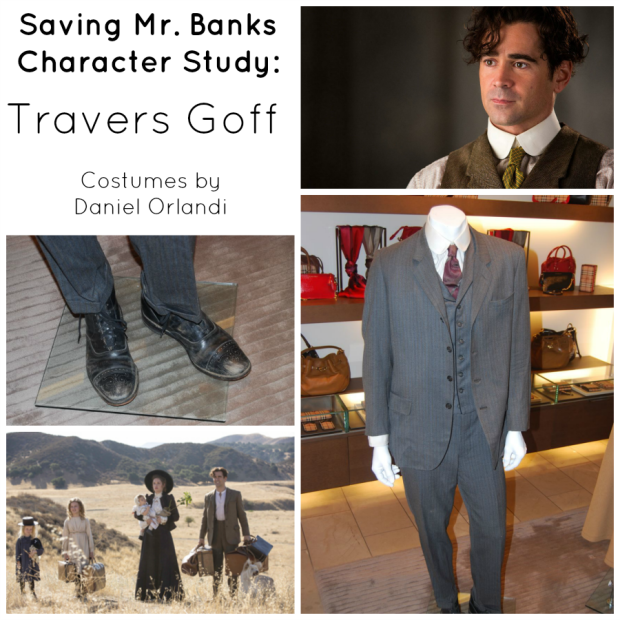 The costume was worn out and slightly short, all adding to unfortunate story of Travers Goff. P.L. Travers is a women that was very hard to work with and the movie portrays her that way. Her costumes evolve throughout the film, reflecting P.L. Travers’ changing attitude. Walt Disney is played by Tom Hanks. 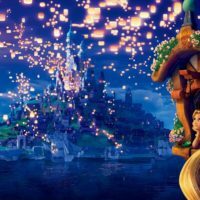 As Daniel Orlandi tells us in the interview, the Walt Disney that is seen in the film is one that was seen by the public. In the film he never played golf, drove his backyard trains, or visited his home in Smoke Tree Ranch. 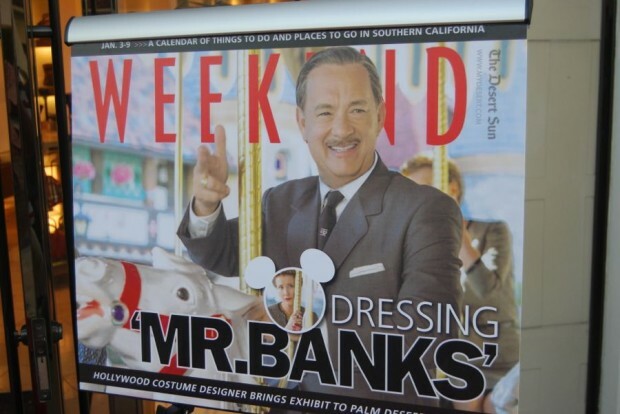 The Walt Disney that we see in Saving Mr. Banks is a very professional Walt Disney. Because of that, you will see him dressed in a suit and tie in every seen throughout the film. 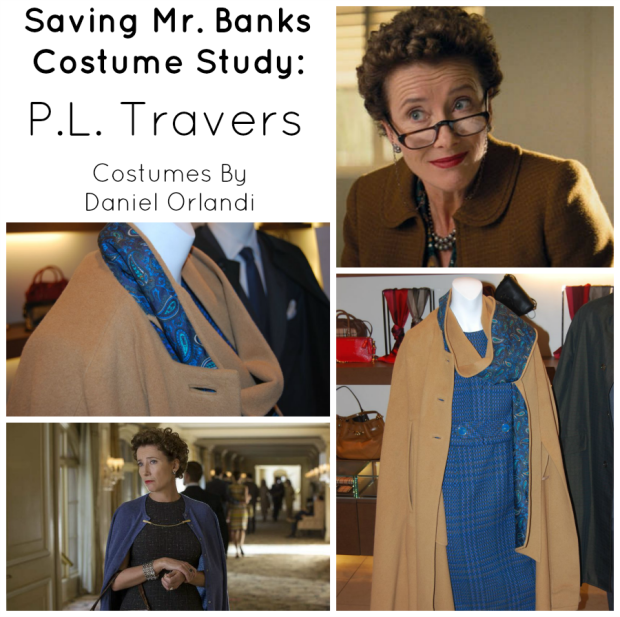 I hope you enjoyed the interview with Daniel Orlandi, the Costume Designer of Saving Mr. Banks. 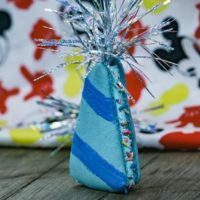 If you still haven’t seen the movie, see our 3 Things to Do Before Seeing Saving Mr. Banks, and if you aren’t quite convinced that you should see it, read our review. If you could ask Daniel Orlandi, Saving Mr. Banks costume designer any question, what would it be?